Hair today, gone with Adebayor tomorrow? Before Arsene Wenger takes a holiday this summer, he must complete one piece of business as important as finishing in the top four: to ensure Arsenal's best player, Robin Van Persie remains a Gunner next season. I'm puzzled by the term "marquee signing". 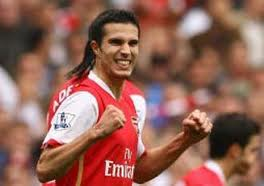 It's origins are manyfold, but in Arsenal's case, I picture Van Persie as the metaphoric tentpole keeping their marquee upright. Because over the past three years in particular, it seems every time Manchester City come knocking, they sell them a decent player. Adebayor, Nasri, Toure and Clichy's moves have all conspired to earn Arsenal an unwanted reputation as the world's biggest selling-club. Add to that the (inevitable) departure of Cesc Fabregas to Barcelona and it's no wonder the Gunners have had Tottenham snapping at their heels for that final Champions League place, which is why it's essential Arsene Wenger puts a stop to that this summer. 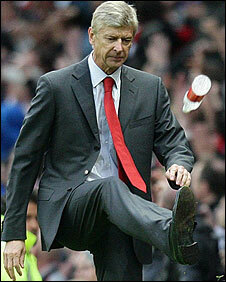 When did it stop being fun, Arsene? Roberto Mancini covets Van Persie. Who wouldn't? After years of stop-start injury problems, the Dutchman has stayed fit and scored a hatful of goals to give the Gunners added impetus toward the business-end of the season. Arsenal's ex-vice chairman David Dein uttered a simple truth: one of his principles was a successful football club started with a successful starting eleven. As Wenger tries to rebuild team dynamic after a couple of years of trading players, it's the world-class quality of Van Persie who'll help rekindle that. Because it's not just his immense on-field contribution that counts, it's off-field, on-line and through every media outlet that perception counts too. Perception that Arsenal are still a club who can feast from football's top table, that they can still compete for League and European honours. So whatever the Dutchman wants to fend off the attentions of City, Barcelona, Real Madrid (and Machlakachla-schmachla), the Gunners should match it. Van Persie wearing the red and white of Arsenal next season is non-negotiable. Turns out WBA did for both of them! You'd be forgiven for thinking Arsenal's team was made up of eleven Englishmen after their heroic failure to reach the last eight of the Champions League the previous week. So it was left to Chelsea to fly the flag for the Premier League. Up a slightly less steep hill than the Gunners but nevertheless still in a tight spot, Chelsea completed a remarkable fightback to overturn a 3-1 first leg deficit to win 4-1 over Napoli in extra time at the Bridge. Since taking the reigns from the deposed Andre Villas Boas, caretaker Roberto di Matteo's galvanised the Blues and critically, it's been the Chelsea pensioners of Terry, Lampard and Drogba who steered them to glory with a goal apiece. This poses a problem for the next Chelsea boss because even though the thirtysomething trio can still do it at the highest level, ultimately they need replacing. 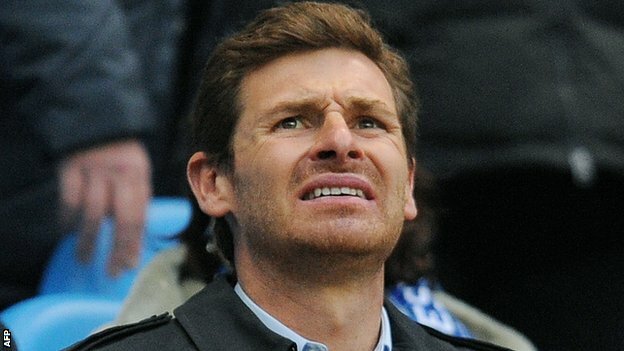 Like Villas-Boas tried before, the new man will have to grasp the nettle. 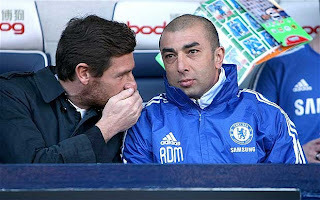 But it should be Di Matteo: he's no ordinary stand-in coach even if he's not Roman Abramovich’s first choice. There’s been grandiose talk of a Mourinho return, Fabio Capello (he who stood down over John Terry), and even Pep Guardiola. But for me Roby's the man: for a starter, he’s a Chelsea ledge. Scorer of famous goals in Cup Finals and more than served his apprenticeship as an English club manager, and you just can't create that exuberant celebration after beating Napoli that showed he cares so much for the club and the group of players. He almost gave Fernando Torres whiplash, jumping on the Spaniard from just outside his peripheral vision. If he's overlooked in favour of a bigger star, then Roman’s Empire may just continue to go round in circles. Special mention for Steven Gerrard: on his 400th appearance for Liverpool, he thumped a hat-trrick to flatten neighbours Everton which also marked David Moyes' decade in charge at Goodison. Moyes has guaranteed the Mersey Blues have continually punched above their weight, but this time it's back to the drawing board for those soft-centred Toffees! 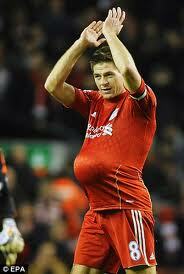 The expectation at Anfield is unbearable. History is a huge burden on the back of this current crop especially as manager Kenny Dalglish was responsible for so much of it. How quickly the League Cup win's been forgotten. It's the Champions League that matters. Meanwhile, if you're in need of entertainment at your football conference, look no further than Dave Richards after a day of embarrassment for the Premier League chairman. I can’t believe Richards apologised for being a Yorkshireman for what he called his “broad comments” during a speech in Qatar. 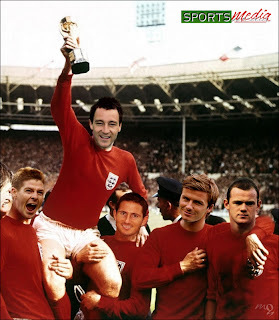 Richards said, "England gave the world football. It gave the best legacy anyone could give. We gave them the game. We were its governance. We wrote the rules, designed the pitches and everything else. Then 50 years later some guy came along and said you're liars and they actually stole it. It was called Fifa. Fifty years later, another gang came along called Uefa and stole a bit more." Even the Premier League distanced themselves from their chairman's comments, claiming the old boy wasn't in Qatar in an official capacity. ﻿﻿But event organisers didn’t need to pour cold water on Richards. He did that himself later by falling into a fountain during a trip round a museum! It’s lucky he was helped back to his feet in doublequick time as he might have been mistaken for one of the relics. It was in June 2011 that Chelsea returned to Porto to hire the brightest young coach in European football. 33-year-old Andre Villas-Boas, with just eighteen months senior management experience, was poached having steered the Dragao-based club to Portuguese and Europa League titles. Roman Abramovich superimposed the image of Jose Mourinho on the fledgeling coach in the clearest case of cosmic ordering ever scene in football. By leaving Porto for Chelsea with a European title, the instant comparisons with The Special One were either going to be flattering - or flattening. Less than nine months later, the Blues owner abandoned Villas-Boas, who'd originally been brought in for the long haul. Remember he'd replaced one of Europe's top coaches, Carlo Ancelotti, who'd steered Chelsea to a sweeping and stylish Double. 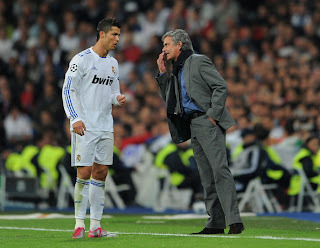 Mourinho and friend crushing Barca. Chelsea bound? But Villas-Boas was swallowed whole by the Chelsea monster. He'll rightly receive massive compensation because being Chelsea boss is a surefire destroyer of reputation in record time. It serves Abramovich right for chasing old trophy glory like a gambler trying to recover his growing losses. We're told his dismissal was administered with the usual Roman brutality: Villas-Boas was taking training when Abramovich called him in to his nearby Cobham mansion. His services were dispensed with immediately, then apparently the Russian stormed in and told the players they'd be sacked too if they didn't improve. Sir Alex Ferguson says players lose managers their jobs and Frank Lampard is why the young Blues boss lost the dressing room. Whether you agree with Lampard or not, he should've kept his own counsel and not attracted the tabloid headlines with negative comments. 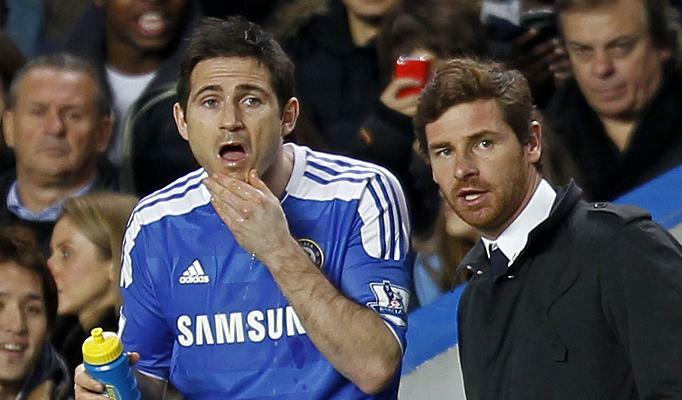 Perhaps Villas-Boas might've handled Lampard a little better: his relative inexperience as a man, let alone a manager means he'll think twice about how he deals with old-time egos in other dressing rooms - but he should've been given much more time to achieve his goals. Talk is rife of a sensational return for Mourinho, even iron-fisted Fabio Capello, with his English knowledge and specific experience of the team's big players, has been mentioned. But whatever the temperament of the man Abramovich picks, he'll have to break up the Lamps and Terry Show and continue the rebuild that AVB had actually started to address quite clearly. And there were signs it was coming together: David Luiz, Juan Mata and Ramires have talent in spades - the sort of ability that three straight league wins would've further inspired. Putting wayward Fernando Torres to one side, Chelsea were making a reasonable transition. More than a decent of chance of making the Champions League and still in the FA Cup. The Jose fan club in the dressing room need to take a long hard look at themselves and if they think Mourinho's unlikely return will result in old times rolling, they'll need to think again. There's no way any incoming Chelsea manager will have any truck with troublesome thirtysomethings, who's time is running short. And Villas Boas will have the last laugh too. 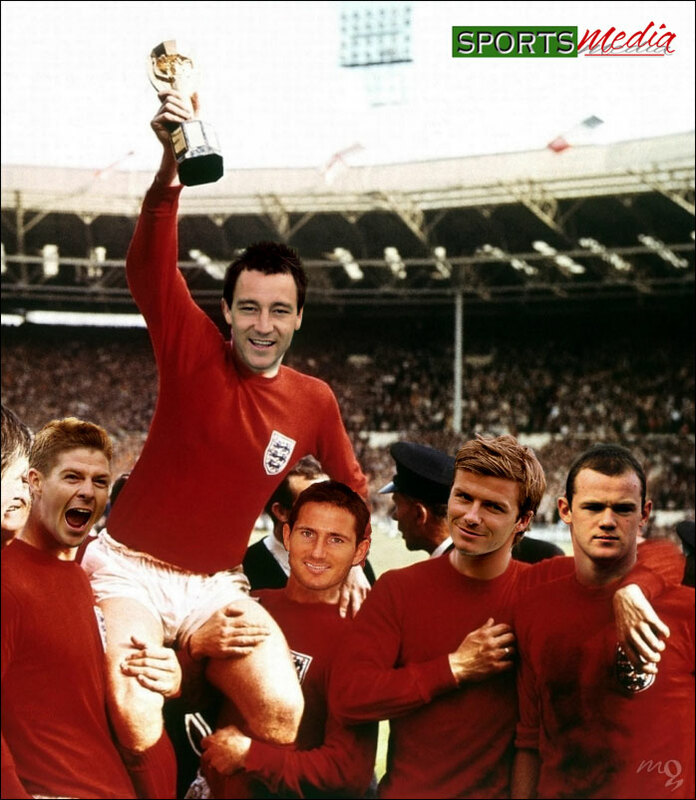 While Lamps and Terry drift out of the game, the Portuguese will end up coaching in a top league again. Robben's strike: our statues get a great view of it. England fans will breathe a collective sigh of relief as caretaker boss Stuart Pearce has declared, "I'm short term" after masterminding England's latest gulf in class. Because a 3-2 friendly defeat to Holland leaves us nowhere in particular ahead of a big date in the diary. With Euro 2012 three months away, Pearce mooted he was Plan B before kick-off. He explained he was there if Harry Redknapp (or anyone else) wasn't going to succeed Fabio Capello permanently. Now he's incentivising the FA powerbrokers to get a replacement in as soon as possible. The Under-21 boss is committing to the senior job for however long it takes, so let's hope that's not too long. Because at Wembley, England were busking it. After the Capello years, there was new thinking at the helm but with little commitment to it. We've just chucked an eye-watering £24m at Fabio's four-year plan: our reward for it? we're fifth favourites going into a major tournament. Scott Parker was captain instead of stand-out Stevie and there was no room for Theo Walcott and Ashley Cole who's experience might've been regarded more highly considering the quality of the opposition. Arjen Robben's opening goal showed the huge lack of experience we had against the truly world-class. His darting dribble and run cut a slice through our defence with almost no resistance, and as Robben's second goal confirmed deep into injury time, he posed a potent threat throughout. Now this'll never happen. Nice pic though! Then again there were some positives: no one was afraid to play, Daniel Sturridge, Adam Johnson and Danny Welbeck all dribbled there way into creating chances and Parker wore the armband with aplomb and responsibilty. But after the England fight back, the Dutch deserved their winner. The composure of the Orange was greater - as was their sheer ability. So a 3-2 defeat with the order of the goals falling in exactly the same way as England's darkest night at New Wembley - that defeat to Croatia which snatched defeat from the jaws of victory to deny us a Euro 2008 place. Pearce is not cut out for the England job and doesn't rouse his troops as a boss. That's a strange thing to say about a man who inspired such passion and leadership among fans and teammates alike as a player. 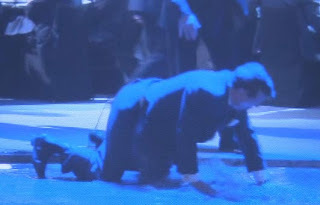 Roll on Redknapp's arrival. He may not be the master tactician a la Mourinho, but as Tottenham's Roman Pavlyuchenko will testify, he will get his charges to "run around a bit" in pursuit of glory.